There is no other feeling than crossing a finish line… Nothing else can imitate the sound of your feet on the pavement and the feel of every heart beat, and every breath. During a race – every single step, every mile you envision your family and friends there at the end, looking at the your finishing time as your foot touches the time mat, someone putting that finisher’s medal around your neck, wrapping in the foil blanket, and all of the training that you’ve put in is finally worth it. Running can be SO rewarding. I’ve had some of my most memorable moments on a run. Whether its beautiful scenery to a new song idea to just clearing the mind…It’s a blessing. It’s a gift. It’s a privilege. It’s not always easy, and sometimes the last thing you want to do is go for a run, but I don’t think I have EVER looked back and said – damn, I really wish I wouldn’t have run today. No way! Never happened, and probably never will. I have had SO many people contact me lately about running their first race – mostly half marathons is what I’m hearing people are interested in. A half is a great distance because it’s a challenge and a long distance race, but it’s not so long that it will leave you feeling like you might die (which sometimes happens in full marathons – to me, anyways!) Half marathons are also lifestyle friendly. It’s easy to work in a couple of runs a week, a longer run on the weekend and some cross-training. A full is a bigger commitment and risk for injury is larger, but it can also be very rewarding! Whether you choose a half or a full or even a 5k – here are some tips to help you get through your first race, or even your 100th race! -COMMIT Sign up for the race, buy the plane ticket, get the hotel…DO IT. If you do that then you have no excuses! -Get the right gear! Make SURE you have good running shoes. Go to my favorite running store – Fleet Feet in Green Hills or Brentwood and let them fit you for the type of shoe you need. Everything starts from the foot up, so shoes are the most important gear you need! 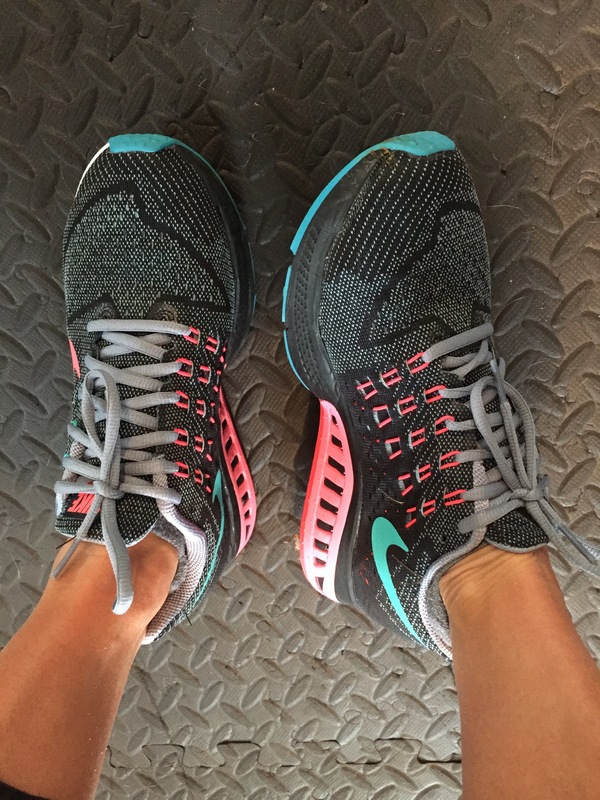 These are both Nike – the ones on the left are for road running, and right are for trails, but they will hook you up with what’s best for you and your goals. -Set a Goal Okay, if this is your first long distance race whether it be a half or a full or even a 10k – my suggestion is to NOT set a time goal. Enjoy it, savor it, take it all in, and make it a good experience. Once you get a long distance race under your belt and you feel what it’s like to put that many miles on your body, you can decide if you want to do it again and then you can set a time goal. Finishing and enjoying it is the most important thing – especially on your first race. -Time Vs. Distance Be careful with focusing on increasing mileage and your speed at the same time. Focus on one at a time, and usually I recommend focusing on distance and mileage before focusing on speed. Increasing both at the same time really runs the risk of injury. -Train Slow, Race Fast. This is my motto. There are some people that disagree. 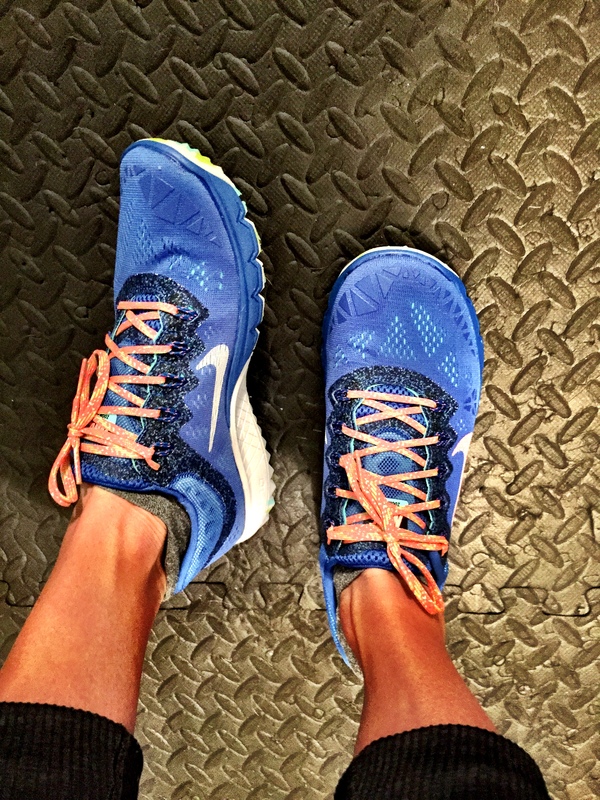 For me, it’s about getting the mileage on your shoes and on your body. Now, if you just run slow and long, when you race – you’ll do exactly that. Adding in some interval work and pace runs are great if you’re focusing on improving your time. -Get a GPS Watch or An App. You’ll want to track your runs. This could be a good time to invest in a GPS watch OR simply download the Nike Plus running app on your phone. Keeping up with mileage, time and distance and being able to share your journey with friends and family is a great way to keep motivated! -Nutrition DURING Your Run. For your longer runs, you’re going to want to make sure that you have water and food available Now, I’m not saying carry along a gallon of water or stop for a cheeseburger. Your body is burn, burn, burning calories, fat, and can start burning muscle too, so you have to give it a little something to keep on going. 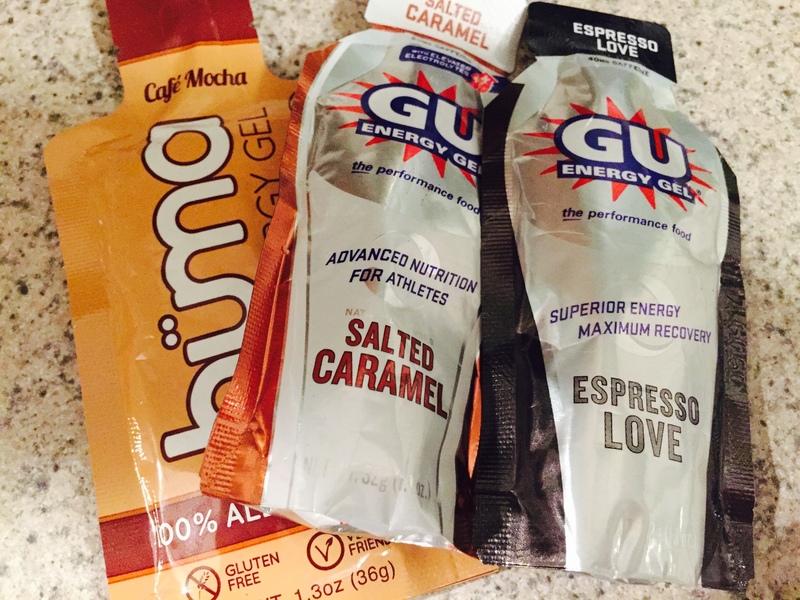 During my long runs, I like to take a Gu every 5 miles. The Vanilla Bean, Chocolate PB, and Espresso Love are my favs. Again, you can get these at Fleet Feet or your local running store. -“Carbo-loading.” You’ve heard of this. You’ve heard the person training for a marathon going to an Italian restaurant and loading up on all types of pasta, bread, pizza maybe, just because they have a “long” run. Sounds fun, right? Now… I have theories on this… I am not a fan of a huge carbo-load before each long run. To me, I’ve found that I do great with a regular meal – protein, veggies, good carbs. Again, do some research and make sure that you’re getting enough calories and THE RIGHT calories in to fuel those runs, be it short or long. -Cross Train. Find something else to do at least once a week. Yoga, Barry’s, spinning… BBC is GREAT for cross training because of the interval work on the treadmill. 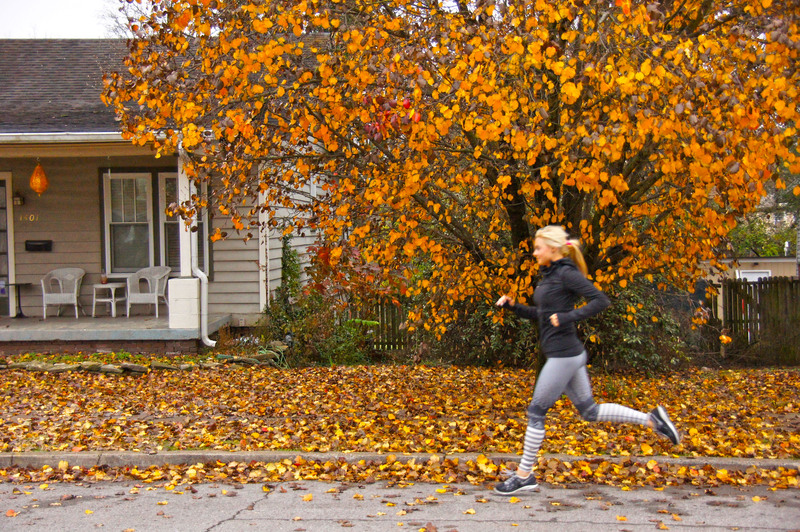 Intervals can really strengthen your long runs and make you faster! It is important to do something other than just run mileage, so make sure to build in some strength training and stretching – especially for your legs, back and core. –Recovery This is AS important than training . Putting a lot of miles on your body can be very taxing – both physically and mentally. So, build rest and recovery into your program. DO IT. Even if you don’t like it. DO IT!!! Your muscles need time to recover and your joints need a break from the pounding. So, whether you choose to train for a 5k or a full marathon – believe that YOU CAN DO IT, but make sure that you do it RIGHT. Follow a plan, cross train and rest. 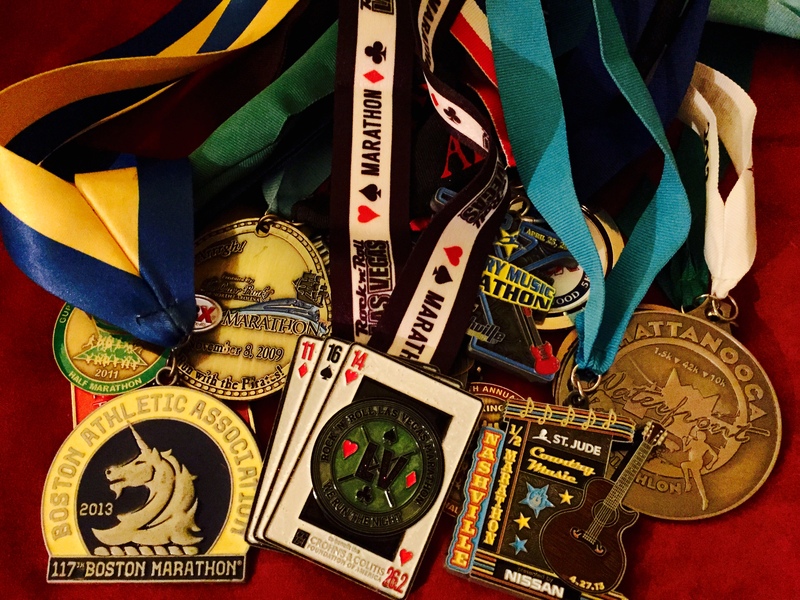 I learned the hard way on my first marathon and didn’t get the miles in. I finished – barely – with a stress fracture and had to be in a boot for 2 weeks. Be smart. It isn’t about the race, it’s about the journey and the finish. You will learn about yourself along the way, and you will learn your limits. 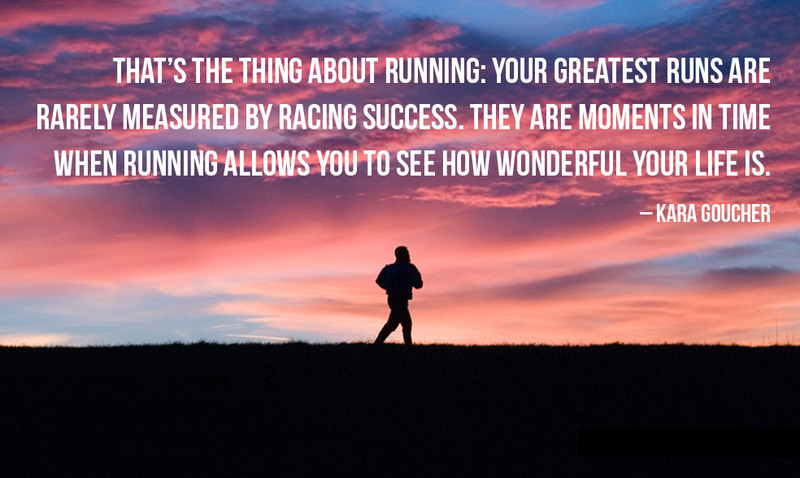 I’ll leave you with a great quote about what running is truly about. Happy running, my friends!